To further accelerate this process, the Narendra Modi Government on Thursday decided on a package of incentives and measures for promotion of digital and cashless economy in the country. 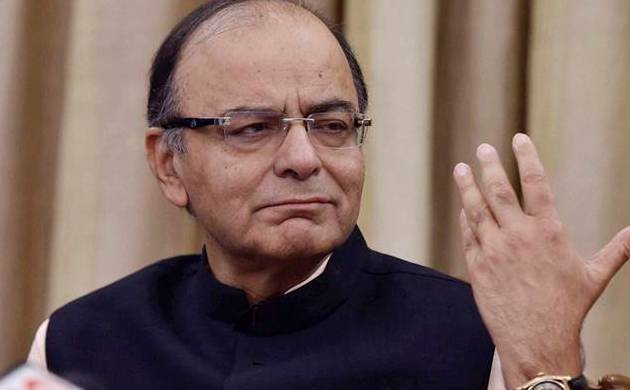 Finance Minister Arun Jaitley on Thursday announced new measures and incentives for promotion of digital and cashless economy in the country. In the aftermath of the cancellation of the legal tender character of old Rs. 500 and Rs. 1,000 notes, there has been a surge in the digital transactions through use of credit and debit cards and mobile phone applications and e-wallets. 1. The Central Government Petroleum PSUs shall give incentive by offering a discount at the rate of 0.75% of the sale price to consumers on purchase of petrol or diesel if payment is made through digital means. Nearly 4.5 crore customers buy petrol or diesel at such petrol pumps per day who can take benefit of this incentive scheme. It is estimated that petrol or diesel worth Rs. 1800 crore is sold per day to the customers out of which nearly 20% was being paid through digital means. In the month of November 2016 it has increased to 40% and the cash transaction of Rs. 360 crore per day have got shifted to cashless transaction methods. 2. To expand digital payment infrastructure in rural areas, the Central Government through NABARD will extend financial support to eligible banks for deployment of 2 POS devices each in 1 Lakh villages with population of less than 10,000. Nearly 80 lakh passengers use seasonal or monthly ticket on suburban railways, largely in cash, spending worth nearly Rs.2,000 crore per year. As more and more passengers will shift to digital means the cash requirement may get reduced by Rs.1,000 crore per year in near future. 5. All railway passengers buying online ticket shall be given free accidental insurance cover of upto Rs. 10 lakh. Nearly 14 lakh railway passengers are buying tickets everyday out of which 58% tickets are bought online through digital means. It is expected that another 20% passengers may shift to digital payment methods of buying railway tickets. Hence nearly 11 lakh passengers per day will be covered under the accidental insurance scheme. 8. The Central Government Departments and Central Public Sector Undertakings will ensure that transactions fee/MDR charges associated with payment through digital means shall not be passed on to the consumers and all such expenses shall be borne by them. State Governments are being advised that the State Governments and its organizations should also consider to absorb the transaction fee/MDR charges related to digital payment to them and consumer should not be asked to bear it. 10. No service tax will be charged on digital transaction charges/MDR for transactions upto Rs. 2000 per transaction. Earlier on the day, the government said it will waive service tax on debit and credit card transactions of up to Rs 2,000 in a bid to promote digital transactions amid cash crunch following withdrawal of old Rs 500 and 1,000 banknotes. The government has decided to "exempt services by an acquiring bank to any person in relation to settlement of an amount up to Rs 2,000 in a single transaction through credit, debit card or other payment card service."